University of North Texas Press, 9781574416473, 196pp. Winner of the Katherine Anne Porter Prize in Short Fiction, 2016. 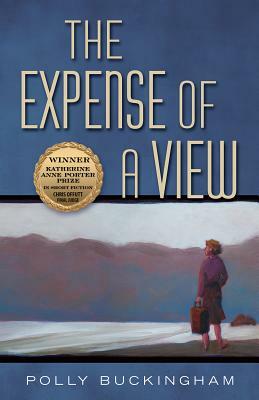 The stories in The Expense of a View explore the psyches of characters under extreme duress. In the title story, a woman who has moved across the country in an attempt to leave her past behind dumps an empty suitcase into the Columbia River over and over again. In another story, a woman who wakes up mornings only to discover she’s been shooting heroin in a night trance, meets her doppelganger on a rainy Oregon beach. Most of the characters are displaced and disturbed; they suffer from dissociative disorders, denial, and delusions. The settings—Florida, eastern Washington, Seattle, and the Oregon coast—mirror their lunacies. While refusing to look at what’s right in front of themselves might destroy them, it’s equally likely to be just what they need. "Polly Buckingham's The Expense of a View explores the twisted mangroves of human connection and the oceanic waters of love and loss.